Increasing plant-rich diets is core to efficient climate change mitigation. Cambridge University’s sustainable food policy has taken a ground-breaking approach by removing all ruminant meat from catering outlets, and providing vegan training for chefs. However more information was needed on how better to promote plant-based options to customers and create genuine shifts in behavior. In a series of novel experiments the University has generated evidence on the effectiveness of achieving this from different choice architecture interventions. These showed that doubling vegetarian availability was more effective than placing vegetarian options first, increasing vegetarian sales by 42-97%. The University has demonstrated significant greenhouse gas emissions (GHGE) savings from its policy change, while engaging with other national partners to share best practices. In the UK high levels of meat consumption undermine both planetary and population health. On average beef and lamb (ruminants) have GHGE per kg 7 times higher than chicken and 43 times higher than legumes (Clune et al, 2017, Journal of Cleaner Production). Cancer Research UK predicts that 8800 cases of cancer per year would be avoided if no-one ate red or processed meat. 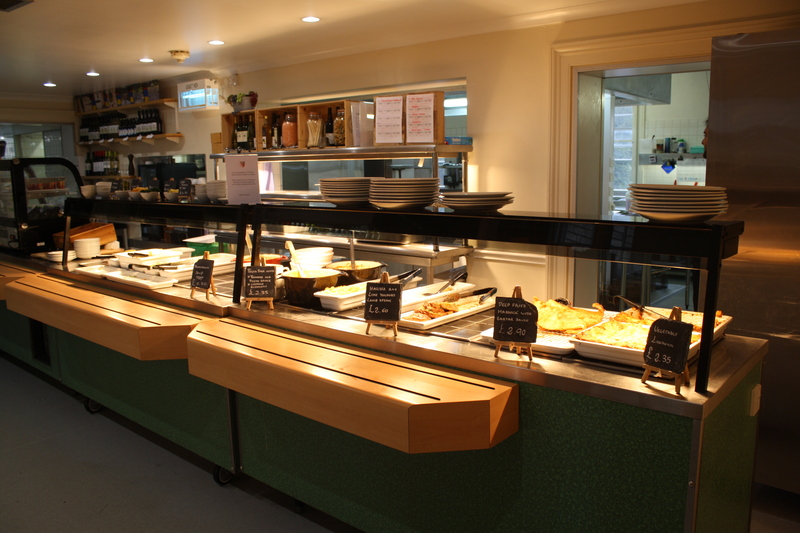 The University of Cambridge Catering Service (UCS) serves thousands of meals to staff and students every day. Working with academics at the University, the UCS determined that meat production –particularly from ruminants– was one of the top contributors to GHGE. Tackling this is difficult given the strong habitual nature of people’s diets. In many cafeterias only one vegetarian option is offered at a meal time, vegetarian sales are less than 25% and Meat Free Mondays are often unpopular. The challenge has been to develop an evidence-based solution with tangible environmental benefits, without impacting profitability. We wanted to know the most effective ways to encourage consumers to select vegetarian options over meat so we experimentally tested two different choice architecture interventions: (i) Order: placing vegetarian options nearest the entrance, and (ii) Availability: the proportion of vegetarian options available. These studies were carried out in Cambridge college (non-UCS) cafeterias as part of a student’s doctorate research and contribute the most robust evidence to date on the potential of these interventions to reduce meat consumption (Bianchi et al, in press, The Lancet Planetary Health). We analysed sales data of vegetarian options from cafeterias to evaluate each intervention. Removing ruminant meat in UCS cafeterias was an important step to reduce GHGE. However, the remaining meat meals on offer to customers could not easily be removed without impacting customer satisfaction. Choice architecture strategies which promote vegetarian sales could deliver changes in behavior without resulting in perceived reduction in choice. Previous scientific work found that increasing the availability of lower energy foods led to a large decrease (40.4%) in calorie selection (Hollands et al, 2017, Cochrane protocol and pers. comm.) and a review on position found that in 16 out of 18 studies more proximate food items and those presented first are chosen more. We wanted to test if these strategies could work in a climate change context over the long-term. The 11 UCS cafeterias began phasing out sales of ruminant meat in 2016 and eliminated sales entirely by 2017. For the choice architecture experiments we used multiple treatment reversal designs in Cambridge college (non-UCS) cafeterias: the order in which vegetarian meals were positioned in the cafeterias changed week by week, and were placed at the start of the main meal options (“Vegetarian First” – nearest the cafeteria entrance) or at the end (“Vegetarian Last”)(Garnett, OSF protocol, 2017). The availability of vegetarian options (# vegetarian options/total options) was experimentally altered between one and two options, week by week, and we also collected non-experimental sales data on how vegetarian availability affected sales. We analysed cafeteria sales from Cambridge University cafeterias to identify which choice architecture strategies could increase vegetarian sales and lead to the adoption of a less meat-heavy diet. We experimentally altered vegetarian availability and vegetarian order (“vegetarian first” vs “vegetarian last”). One enabling condition was the increased awareness of the environmental consequences of our current food system and the disproportionate impact of livestock production. 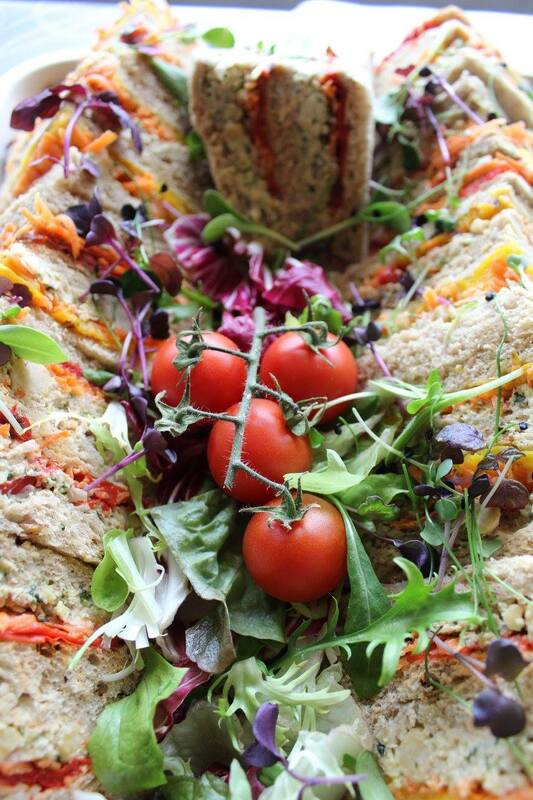 Catering managers have reported increased interest in vegetarian and vegan options from students over the last few years – the shift to lower meat diets is being driven by younger citizens, which also made a University setting an ideal test-bed for our choice architecture strategies. UCS carried out surveys on cafeteria customers, 80% actively sought sustainable food options and 64% were open to reducing their meat consumption. Close collaboration between catering managers, chefs and academic researchers was a key success factor in getting the evidence and implementing solutions to increase plant-rich diets. Nick White, the head of UCS, took his chefs to Borough market to experience the range of vegetarian options, this combined with vegan workshops enabled increasing vegetarian availability. The different colleges at Cambridge make a useful research study system: a choice architecture technique can be tested in one college cafeteria and replicated in another to see if the result holds. Setting up and running these experiments entailed logistical obstacles, but cooperation and a flexible approach led to useful data and results and ensured our solution was adopted. Scaling this approach could meet resistance from customers objecting to “sustainability by stealth” and to overcome this obstacle it is important to garner public support for a broad range of sustainable food policies. The project was initiated by the University Environment & Energy (E&E) Section’s ‘Living Laboratory for Sustainability’ project, which aims to link academic expertise with the operation of the University’s own estate. The Living Lab linked UCS and academics with relevant expertise to develop the University’s Sustainable Food Policy, which included the ground-breaking headline commitment to removing ruminant meat. 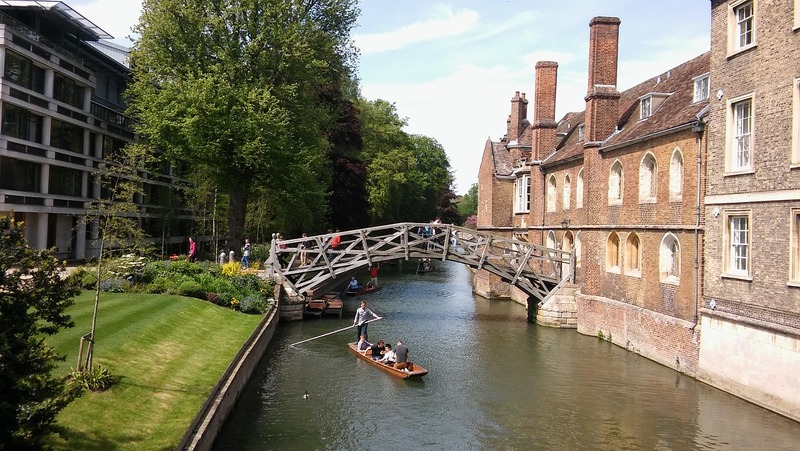 Following the successful removal of ruminant meat from menus in 2017, the UCS and E&E set up a Catering Managers’ Sustainability group to engage with other local organisations including Cambridge Sustainable Food. Through this, a key external partnership developed with Humane Society International and their Food Forward program, which provided several day-long workshops on vegan cooking to Cambridge chefs, delivered by Jenny Chandler, the UN special ambassador for pulses. Additionally, a sector-wide event inviting other Universities from across the country to learn from the approach was facilitated by the Environmental Association of Universities and Colleges (EAUC). In 2017 Cambridge University won a prestigious ‘Green Gown Award’ from the EAUC for its Sustainable Food Policy. The University Caterers Organisation (TUCO) profiled our work in their magazine in January 2018 and Cambridge won the TUCO Sustainability Award for 2018. Our aim through all these activities has been to publicise our work providing and promoting delicious and more sustainable meals. Data on over 200,000 main meals sold from 2017-2018 have shown that increasing vegetarian availability is a more effective intervention to increase vegetarian sales than changing cafeteria layout. Doubling vegetarian availability (eg from 1 in 4 options to 2 in 4) increased vegetarian sales from 42 to 97%, with similar effects irrespective of cafeteria users’ background levels of meat preferences. Many Cambridge colleges are now serving more vegetarian options as a result of their engagement with this research. By contrast, results from altering the position of vegetarian option suggest smaller effects with order interacting with distance. In one college with a short distance between the “veg first” and “veg last” conditions (<90cm), placing the vegetarian option first did not increase vegetarian sales. However, in another college (>170cm distance) vegetarian sales increased by 25% under the “veg first” condition. UCS reduced ruminant meat purchases by 54% between 2015 and 2016 which led to a 28% reduction in GHGE per kg of meat purchased. Reducing ruminant sales and increasing vegetarian and vegan sales has dramatically reduced the GHGE of main meals. We estimated the GHGE of meals served at one cafeteria using the emissions for different food categories in Clune et al (2017, Journal of Cleaner Production) from farm to regional distribution centre. The average vegan and vegetarian meal had much lower GHGE per serving than the average fish, non-ruminant (pork and poultry) and ruminant (beef and lamb) meals; 0.28, 0.61, 1.02, 1.14 and 4.85kg GHGE/serving respectively. Replacing a ruminant, non-ruminant or fish meal with a vegetarian meal reduces its GHGE by 87%, 47% or 40%; increasing to 96%, 84% and 82% for a vegan substitute. For just one cafeteria serving 500 meals/day, six days a week over one year (312 days) changing 10% of sales from ruminant to vegetarian would save 66.14 tons of GHGE. Increasing vegetarian meals served in cafeterias is an economically sustainable solution, requiring no overheads or continuous investment, and in fact can result in cost savings due to the high relative cost of meat, particularly from ruminants. Capacity, knowledge and awareness among traditionally-trained chefs in Western countries is limited in this area so we provided chefs with training to produce varied, delicious and nutritious plant-based meals. Grant-funding would enable these Food Forward workshops to reach more catering institutions across the country at relatively little cost, particularly when working with other local organisations to deliver this at scale. Serving more vegetarian meals did not cost anything to implement. The main costs are staff costs associated with training and redesigning menus. However these are modest: a day-long Food Forward workshop on vegan cooking costs Humane Society International only £530 to run to train 10-12 chefs. These minimal costs deliver significant GHGE reductions; our approach is therefore highly cost effective. Our experience shows that demonstrable changes can be delivered with minor changes in the provision and presentation of food. While further research is needed to test if the approach is as effective in other contexts besides university and college cafeterias, the barriers to change are principally awareness-related within the catering industry. The University has raised awareness of our successful approach through events and awards entries. Additionally, we propose the following: - Running Food Forward workshops on vegan cooking across the country (see above). - A series of workshops for caterers and chefs to outline our approach and how this can be made a reality in other contexts. We estimate a cost of £700 per event. Key stakeholders would include EAUC, TUCO and the Humane Society. - UCS aims to produce a behaviour change report on how to encourage uptake of more sustainable food options which would be a useful resource to other institutions. The main cost would be an estimated £15,000 for the employment of a temporary staff member to write the report. By leveraging the expertise and profile of Solution Search, there will be many other opportunities for disseminating this initiative, leading to global uptake of the behaviour change we have achieved in Cambridge, benefitting both planetary and population health.